The Good / Kyle & Carson (the owners) have developed a space where anyone, regardless of experience, can set up their own website and start making money from it. You’ll have access to everything you could possibly need to get started. The Bad / There are a lot of distractions that can prevent you from actually growing your business if you aren’t careful. Some of the community have adopted a “fake it til you make it” mentality to stroke their own egos. My Recommendation / While the Premium level is well worth the money, you’d be silly not to try the free starter membership first to make sure it’s a good fit. It’s been 9 nine years since I first joined Wealthy Affiliate. 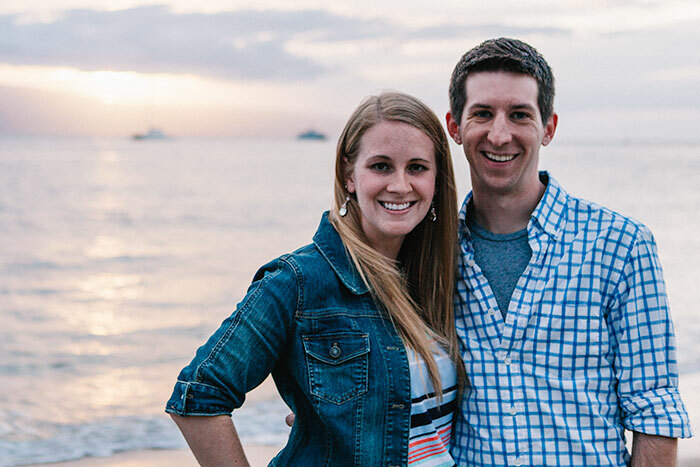 Joining Wealthy Affiliate has been the reason why I've been able to travel the world with my wife Amanda. Naturally this Wealthy Affiliate review is going to have a positive spin to it. You don’t pay for something over 108 months in a row and not think positively of it. By the end of this post, you will know the basics about affiliate marketing, Wealthy Affiliate, and some of the things you’ll be learning and doing after you join. Plus, you’ll have the opportunity to work with me directly. I’ve been working online full-time since 2007. Working with me will greatly improve your chances of success. If you have any questions while you’re here, simply click on the Chat icon at the bottom right to be connected with me personally. I’ll be happy to answer anything you throw my way. In short, Wealthy Affiliate is a training program, a community of affiliate marketers, and a collection of affiliate marketing tools (such as a website builder, website hosting, and a keyword research platform) all in one place. 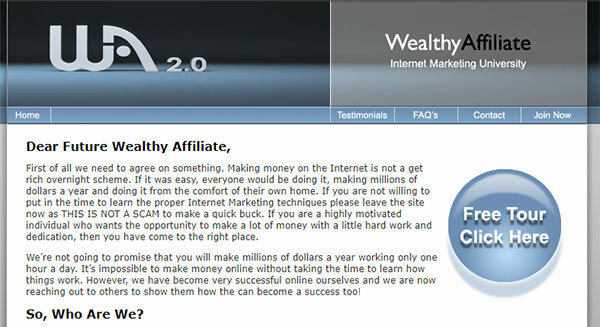 Wealthy Affiliate was created by two dudes from Canada, Kyle & Carson. They were fed up with the “make money online” industry and the sheer number of scams that existed. They set forth to build an all-inclusive program to help beginners learn how to setup their own business online. The training was designed to give you everything you could possibly need, all in one place, all at one low price. It’s the same training I used to grow my business to over $10,000 per month. Even better, they let beginners try out the entire system for free with a Starter membership. It costs $0 to join. You don’t even have to provide a credit card. You fill that out and you can instantly start your training. What will I learn with the Wealthy Affiliate training program? Will I learn about affiliate marketing? Will I learn what a niche is and how to pick a good one? Will I learn how to pick a domain name? Will I learn how to set up a website? Not only will you learn how, the Wealthy Affiliate website builder tool will do it for you. Will I learn how to do keyword research (and what keyword research is)? Will I learn how to write good content for my new website? Yes. The keyword research will help you determine what to write about. The training modules will teach you how to write good content. And the Wealthy Affiliate community will even review your posts and give you constructive criticism if you are open to it. All you have to do is ask for help! Will I learn how to get my website to show up on Google and other search engines? Yes. This is called Search Engine Optimization (SEO) and it’s a constantly evolving art. It is covered in the Wealthy Affiliate training modules and new recommendations are often a topic in the weekly webinars. Will I learn how to use affiliate links to make money through my website? Of course! You will learn what affiliate links are, how to sign up for affiliate networks, and how to use affiliate links effectively. Affiliate links, after all, are the way you make money with affiliate marketing. Who teaches the training at Wealthy Affiliate? Let’s first clarify what type of training is available. There are the official courses. These have been created by Kyle. He has personally wrote all of the guides and recorded the video training himself. Then you have the weekly webinar. 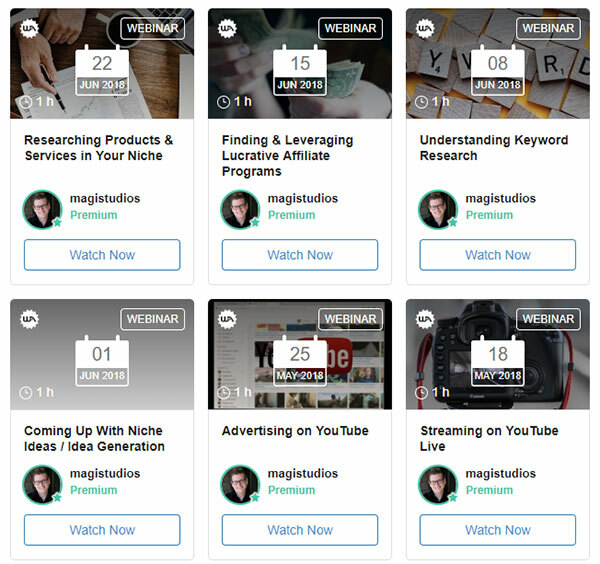 These are 1 hour video conferences hosted every Friday evening by Jay, who goes by magistudios within Wealthy Affiliate. Every webinar is recorded. Currently there are over 200 different live classes available to watch. In addition to this, other members can create training as well. I myself have uploaded quite a few of my own training guides outlining my personal strategies and approaches to affiliate marketing. Kyle goes through the official courses and updates them multiple times per year to make sure you are getting the most accurate and up-to-date training. A new live video conference is recorded each week as well. The community adds their own training and blogs on a daily basis. Basically, there will be something new every time you log back in. You ever wake up in a cold sweat at 3 in the morning wondering if Google made any changes to the way they display search results? 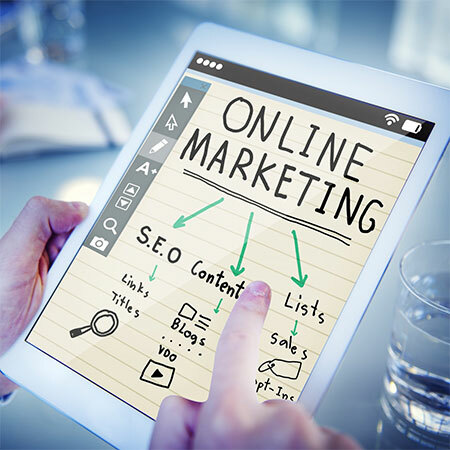 Well, Wealthy Affiliate provides you with the opportunity to connect to affiliate marketing experts the world over. At any point in time, you can log in and ask questions, get the latest affiliate marketing news, or see what’s new in this industry. There’s even a live chat feature where you can instantly talk to members in the community. I personally contribute material to Wealthy Affiliate on a regular basis as well. You can connect with me and thousands of other like-minded individuals while you work on building your own business. Having this kind of support is invaluable really. But Steve, I have no idea how to build a website. That’s OK! Wealthy Affiliate was developed with YOU in mind. Carson has developed a website builder that gets new websites up and running in seconds flat. You DO NOT need to know how to code. If you can type out an email, you are MORE than capable of running your own website. 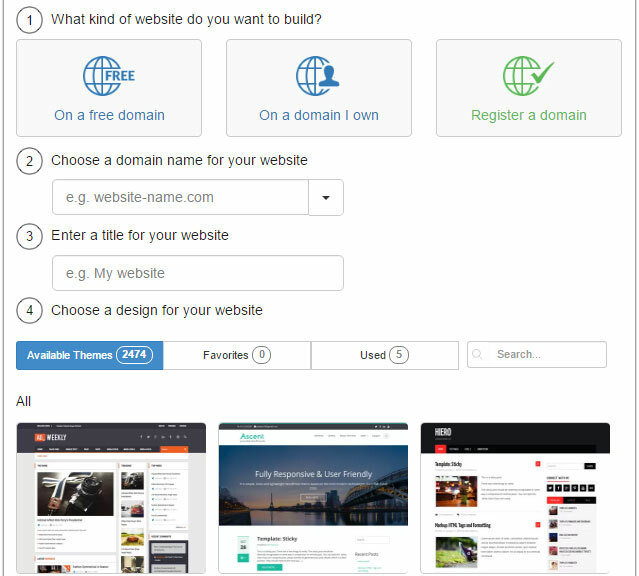 The website builder will setup a WordPress website for you. With WordPress, all you need to do is write. It literally handles everything else. If you can send an email, you are already possess the skills needed to build your own website. What’s the difference between using a free domain and using a domain I own? To get your website online, you need a domain name. This is just your website’s address. Wealthy Affiliate allows you to put up websites for free, but it’s built under the SiteRubix.com domain. Google values websites that are built on their own domain names. 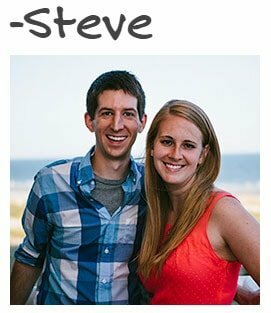 For $14 per year, you can own something like http://www.steveswebsite.com/ and your legitimacy goes through the roof in Google’s eyes. Your website will show up higher in the search results as well. There are two parts to a website. The domain name (covered above) and the web hosting (covered right now). A website host is just the physical computer (called a server) that “hosts” your website. Your website is stored on a server that is connected to the Internet 24/7 and allows people from all around the world to access your website by typing in the domain name. 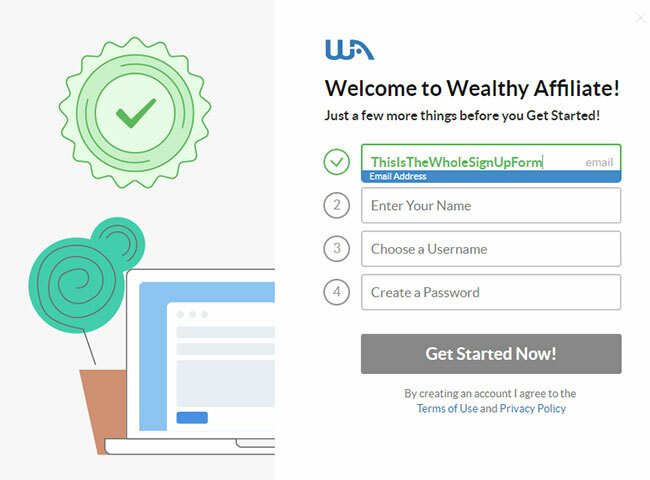 A membership at Wealthy Affiliate gives you the ability to create and host 50 different websites on their state-of-the-art servers. What if some day I leave Wealthy Affiliate? Will I lose my website if I use the WA hosting? You won’t lose your website, but you will have to move it to another host if you want it to stay online. Think of your membership fees as paying rent. If you stop paying rent on your apartment, could you still store your belongings there and go in and visit them from time to time? Hosting is no different. You need to either continue your membership or you can download a full copy of your website and seek outside hosting. There are thousands of different hosting companies out there, each with their own pros and cons. Honestly, the hosting you get at the price of a Premium membership is far better than anything you’ll likely find online. 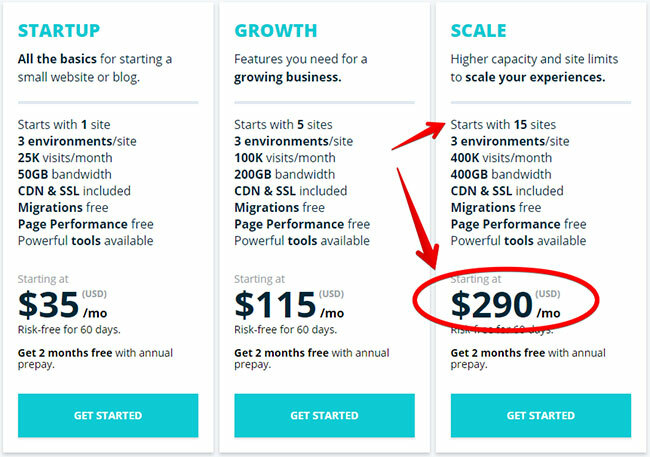 You will need to spend $100 to $200 per month to find comparable web hosting. You will be paying $290 per month to host 15 websites. Whereas Wealthy Affiliate allows you to host 50 for $49. Nothing out there really compares. There are cheaper options, but cheaper generally means slower. Wealthy Affiliate does offer a near-instant help desk. One of Carson’s goals over the years has been to get the hosting team’s support response time down to seconds. Not minutes, not hours, not days. 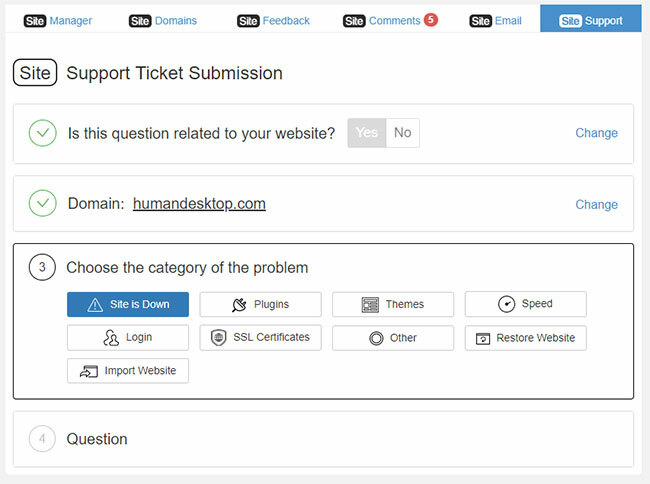 If at any point you run into trouble with your website, you can submit a support ticket and have the hosting team personally go in and take a look at it. Fill out the above form, pick the problem you’re having, and provide the support team with more information. Someone will pick it up and fix it for you or provide you with a step-by-step solution to resolve the issue. It’s insane just how fast they are. What is Jaaxy? Do I have to pay extra for it? 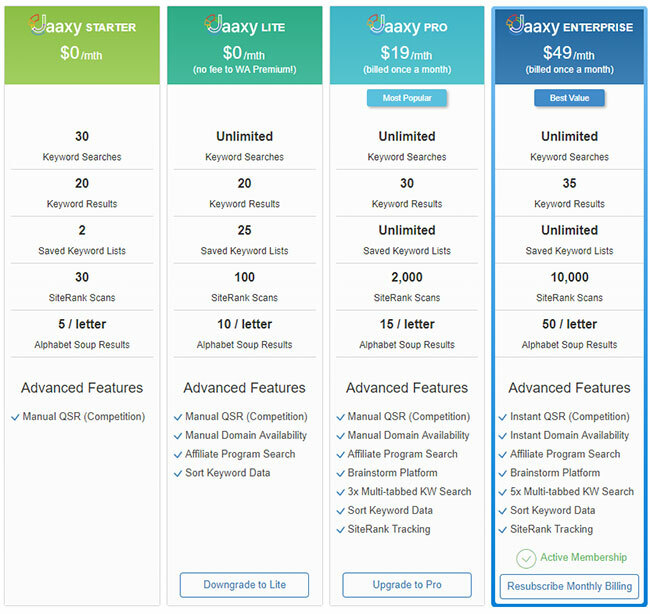 Jaaxy is Wealthy Affiliate’s internal keyword research tool. For the longest time, Jaaxy was a separate service, and it required another subscription. As of 2018, Jaaxy has been moved inside Wealthy Affiliate and members are given full access to the tools at no extra cost. There are advanced features available that require a monthly subscription. I personally have an Enterprise account. If you are a beginner, Jaaxy Lite is MORE than enough. There’s no need to pay extra money, especially early on, but you can consider unlocking the extra features if or when you need them. 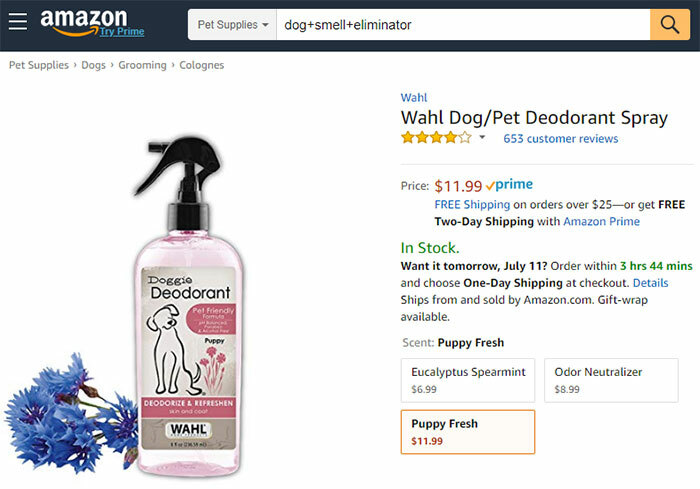 You will be researching ideas, writing articles, getting people to visit your website, and then you will send your visitors off to an online retailer like Amazon. You make money when they make a purchase. These will help people (traffic) find you online. Keywords cause a lot of hang ups for some people, but they’re actually incredibly easy to understand. The interesting thing here is that Google publishes how many times a specific keyword is searched each month. 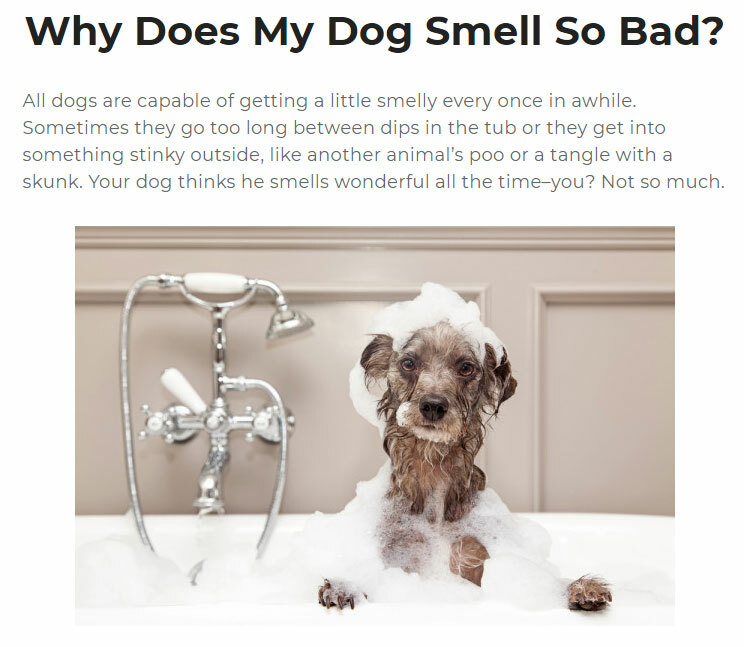 1,300 people have some seriously smelly dogs. This is all public data that you will use to sculpt your website. You can see exactly what information people are looking for online. You find out what people are searching for and then you write an article that covers that keyword. Okay, but how do you make money? 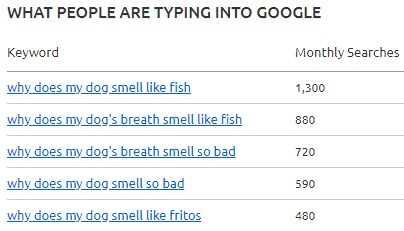 Alright, 1,300 people per month want to know why their dog is smelly. …you just became an affiliate marketer. This is what Wealthy Affiliate teaches. They will teach you how to do everything above, from picking a niche, to building a website, to writing an article, to getting that article listed in Google, to getting people to visit your website, and finally, to making money. Does Wealthy Affiliate guarantee that you will make money? This is a business venture that you are embarking on. Wealthy Affiliate can’t guarantee your success any more than a university can guarantee you’ll get a job right out of college. Basically, you get out what you put into it. Affiliate marketing is a tried and tested method of making money online. In fact, it’s a multi-billion dollar per year industry. It’s also one of the cheapest and easiest businesses you can start, online or offline. Let’s be clear up front, Wealthy Affiliate isn’t the one paying you. Companies like Amazon, Walmart, Best Buy, etc. will be the ones sending you checks. Realistically, you will likely start off supplementing your income. A few extra bucks a month here and there. As you add content to your website and your reach continues to grow, so will your income. Every article you publish will be a potential entrance point to your website. The more entrance points you have, the more chances you have at attracting visitors. How long does it take to start making money through affiliate marketing? Well we’ve already talked about how quickly the Wealthy Affiliate website builder can get your website set up. The real question is how quickly can you start getting visitors to your new website. Part of this is limited by how quickly you can write content for your website. When is the last time you searched for something in Google and ended up on a website that had only 1 article written? That’d be a lot like hearing a new grocery store just opened up and when you got there you saw that all they had stocked so far was milk. You’d probably wait a while until they were fully set up before going back. Google likes to see that your website is a little more established with lots of unique content before it’ll start showing up on the front page of Google searches. It depends on a lot of different factors, but realistically it can take anywhere from a couple of months to a year. Of course there are other ways to get traffic than from Google. If you can build a good social media following then you can certainly link to new articles you write and get traffic that way. You can also use paid ads, which you often see at the top of Google searches or on your social media feeds. Of course, long term you want to ace the Google traffic because then you are getting website traffic for free. That just might take a little time and patience for a new site. As to how quickly you can start making money? As soon as you have content written, affiliate links in that content, and visitors coming to your site you can start making real money online. You aren’t going to be making millions overnight. Your earnings will start small and continue to grow over time as you write more unique content and attract more and more visitors to your site. Can’t you just learn about affiliate marketing through free info on Google? There are a ton of really good free resources out there. There is a ton of really bad information out there as well. If you aren’t careful, you could be following outdated material that at best, doesn’t work, and at worst, will land you in trouble with Google. Can you sign up for Wealthy Affiliate, watch all the training videos, and then quit so you don’t have to keep paying monthly? Affiliate marketing is an ever changing industry. You will become heavily reliant on Google for website visitors. The thing is, Google changes up their search results often, daily, or hourly even. On top of that Google also updates their algorithms every so often. 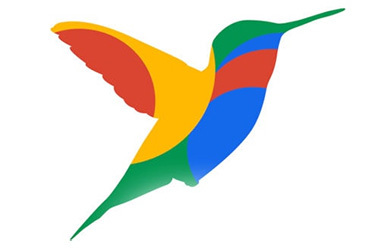 Let me ask you something, do the terms Google Panda, Penguin, Hummingbird, or EAT mean anything to you? However, each of these algorithm updates were discussed heavily within Wealthy Affiliate. If you weren’t paying attention your website could have disappeared from Google’s search results over night. This is just one reason of many why maintaining a Wealthy Affiliate membership is so important. What good is watching a training video once and then quitting? Who do you turn to when you have questions? When something doesn’t make sense? Plus, you have the community to learn from, new webinars added weekly, constantly updated and evolving training, and all of the support you could ever ask for. This is the real value in a membership. There is no obligation to remain a member. If you need to leave, you can close your account with the click of a button. You are in full control over your account. When you’re ready to rejoin, all you need to do is log back in with your old account information and your account will be instantly reinstated and you can pick right back up where you left off. Do you need to have a niche and domain name picked out before you sign up for Wealthy Affiliate? This is literally the very first thing you will learn when you step through the doors. It’s okay if you join not knowing a single thing about affiliate marketing. That’s kind of the point of Wealthy Affiliate. They’ll show you exactly what you need to do every step of the way. I don’t know what niche to pick, should I just sign up for Wealthy Affiliate Bootcamp? Wealthy Affiliate does have an affiliate program of their own, and you can get paid for referring new members to the community. They teach you how to do this through something called Bootcamp. A lot of people have trouble deciding on their first niche. Instead of trying to figure it out, they default to Bootcamp and promoting Wealthy Affiliate. There is a SERIOUS flaw here. Mainly, if you pick Bootcamp as your first niche, you are trying to tell people how to make money online without having made a dollar yourself! How are you going to instruct someone on what to do if you have no idea how to do it yourself? Bootcamp should be considered if (AND ONLY IF) you have seen success in a niche outside of Bootcamp first. Otherwise, promoting Wealthy Affiliate without really knowing how it works yourself is just dishonest. 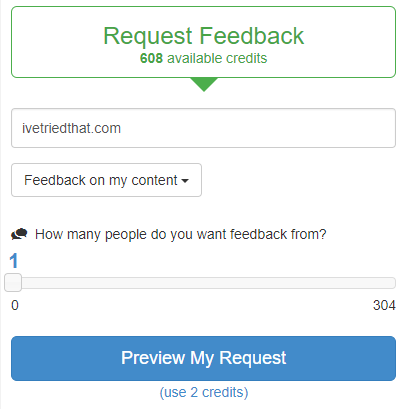 Do you have any complaints about Wealthy Affiliate? I outlined what I dislike about Bootcamp above. Aside from that, there can be a few distracting elements within the Wealthy Affiliate community. A lot of members equate success with the friends they make within Wealthy Affiliate. This is exacerbated by “ranking” members within the community. You see, Wealthy Affiliate assigns you a number based on how active you are. However, this activity is just how you interact with other members. Meaning, time spent NOT working on your website. To make matters worse, there is an “Ambassador” program which highlights the top 25 most active and helpful Wealthy Affiliate members. Unfortunately, being an Ambassador just means you spend a lot of time within the community. People get distracted and addicted to growing their Wealthy Affiliate rank while completely ignoring their own business. On top of that, there is always a bragging contest going on over who can “follow” the most members. Following other members is the same as adding friends on Facebook. It’s insane really. They are competing over imaginary Internet points and spending money to do so. When you do join Wealthy Affiliate, be sure to not give a second thought to your rank or the number of people you follow. Aside from that, I am extremely satisfied with everything Wealthy Affiliate has to offer. Who is Wealthy Affiliate a good fit for? People looking for fast money. If you are expecting to join Wealthy Affiliate today and start making money tomorrow, this is not for you. Wealthy Affiliate teaches you how to build an affiliate marketing business from the ground up. This is, after all, a business. It’s not a scheme or a scam. Say you wanted to open your own restaurant. Your only experience with restaurants have been eating in them. You enjoy the food and now you want to run your own. You had the idea today. What are the chances you’ll be able to open the doors to a restaurant and start making money tomorrow? 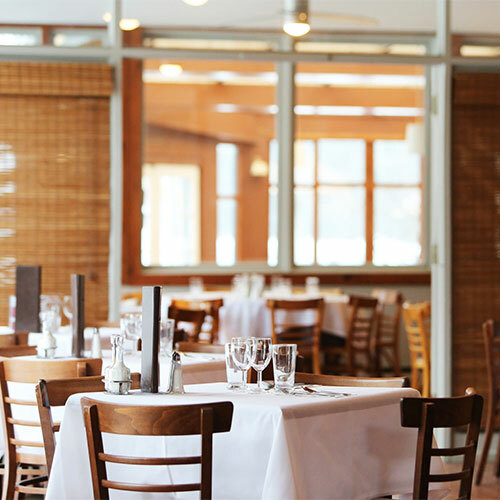 You need to know how a restaurant runs and operates. You need to find a location, plan your menus, hire staff, get the word out, etc. etc. My point is, starting a business takes work and running an online business is no different. Wealthy Affiliate will show you exactly what you need to do every step of the way. Plus, you will be learning from people who have already succeeded in this industry. Paying for a membership would be like hiring Gordon Ramsay (for less than $2 per day!) to show you how to open and run a restaurant. You are getting all of the help you need to succeed with Wealthy Affiliate and none of the yelling from Gordon. Are there any alternative affiliate marketing training programs? There are quite a few actually. However, I have yet to find any that comes close to matching what Wealthy Affiliate offers. Most other affiliate marketing training programs offer just that. Training. You will have to pay additional money to get the services and tools needed to actually build your website. 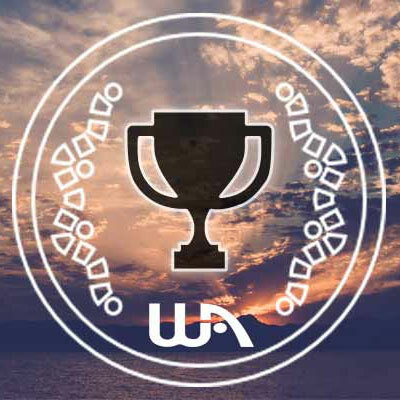 Wealthy Affiliate takes it one step further than all the other guys and provides you with everything you need to get up and running. How do you (Steve) know so much about Wealthy Affiliate and about affiliate marketing? I started this website in 2007, over 11 years ago. Yes I know it’s hideous. But things have improved A LOT since then. Back then, affiliate marketing was much more “Wild Wild West” than it is today. I got my start by reading various message boards and trying to emulate others. The training programs that did exist were not very good and focused entirely on trying to either deceive Google or other people. I didn’t like the route other affiliate marketers were going so I decided to create this site to evaluate training programs and their offerings. I didn’t hear about Wealthy Affiliate until two years AFTER I started this site even though Wealthy Affiliate had been in business since 2005. 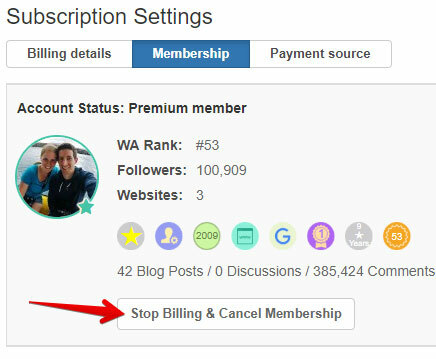 I joined Wealthy Affiliate with the expectations of performing another review, exposing them as a scam (Spoiler alert: they aren’t), and moving on to the next program. What I found was an actual breath of fresh air. I stumbled upon a community of people all working together to build something great. I’ve been a happily paying member since I first joined. 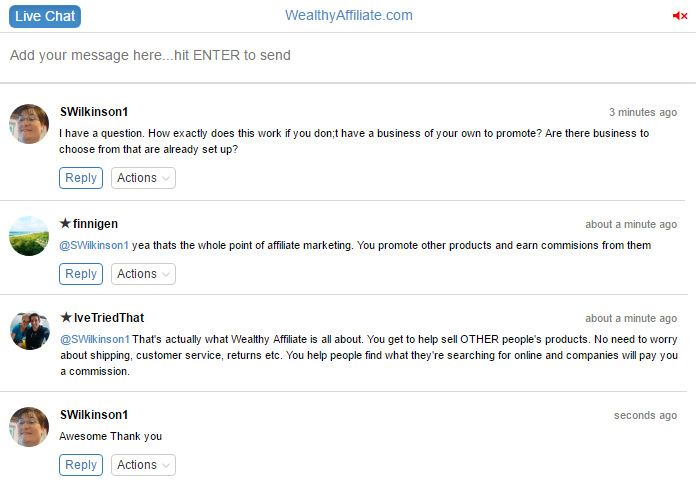 Are the Wealthy Affiliate owners (Kyle and Carson) real? Not only are they real, I’ve met them both, in person, multiple times. Here we are at Butchart Gardens in their home town of Victoria, BC. I’ve been to both of their houses, met their families, and have sat down for dinner at their tables. They are as real as real can get. Steve – If/when I get stuck, can I ask you questions along the way? Helping people is my full-time job. What’s in it for you? Why do you want to help me set up my own online business? While the money is nice, the goal of this website was to help people find legitimate ways to make money online. Like I said above, I had no help starting out and I had lost money to scams. I wanted to make sure no one else had to go through that same experience. You’re still here now reading this ridiculously long review. Obviously you have an interest in affiliate marketing and I truly believe Wealthy Affiliate provides the opportunity you are seeking. On top of that, I genuinely enjoy meeting and talking to new people. You meet people from all walks of life here and from all over the world. Some of my best friends I’ve met through Wealthy Affiliate. In fact, I regularly travel out to Maui and meet up with a few of them. 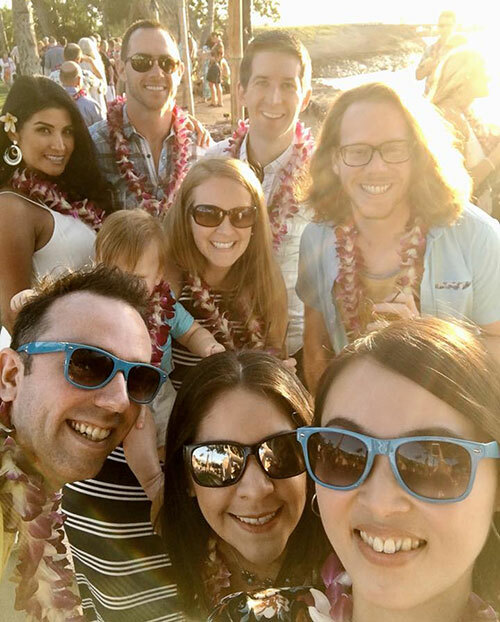 Here I am with my wife Amanda, son Vincent (he’s camera shy apparently) and Wealthy Affiliate members DomW and Pribs at a luau earlier this year. 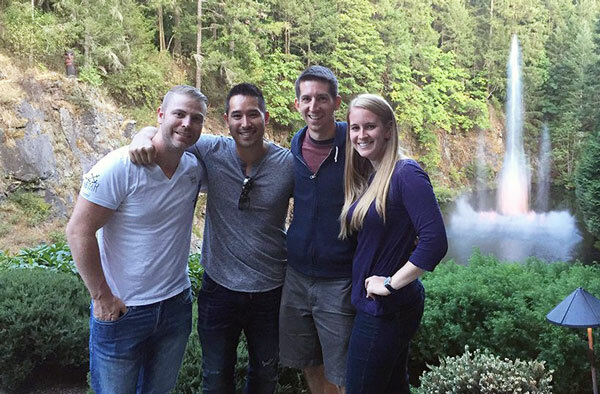 These friendships would not have been made if it hadn’t been for Wealthy Affiliate. There are two membership levels. Starter members are completely free for life. They will set you back a cool $0 per month. However, there are some restrictions with a free membership. A Starter membership really is just a chance to try everything out. You can see for yourself if Wealthy Affiliate is a good fit for you. You can also pay for a full year up front for $359, which is a $229 savings compared to paying month-to-month. I have been reviewing programs for 11 years now, and there’s nothing that even remotely compares to Wealthy Affiliate. In fact, if you were to fully join one of their top competitors, you’d be out nearly $30,000. Yes, you read that right. Thirty. Thousand. Dollars. You could pay for 100 years of Wealthy Affiliate access at that price! This industry is beyond insane sometimes. 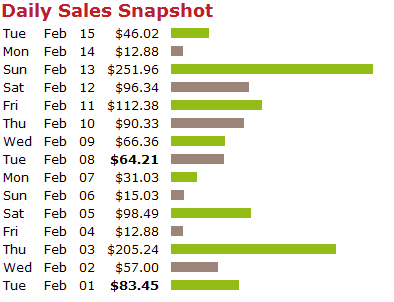 $50 per month to run your own online business is absolute peanuts. Oh, you were looking for proof. I already told you that I had built this site from the ground up. On my own. 2 years before I found Wealthy Affiliate. It would be dishonest to tell you that I personally used Wealthy Affiliate to learn how to build a website because it just isn’t true. Wealthy Affiliate helped me grow my business into what it is today, but I already had some of the basics down. That doesn’t mean Wealthy Affiliate won’t teach you how to build a website, it just means that I already knew how before I was introduced to Wealthy Affiliate. A couple of years ago, my wife quit her engineering job to work from home as an affiliate marketer with me. Problem is, she had no idea how to make or edit a website. She knew the concepts of how affiliate marketing worked but didn’t have any idea how to do the technical side of getting a website up and running or getting traffic to it. On her first website I built the whole site and taught her how to edit pages. But the thing is she’s a little bit stubborn and always wants to learn how to do things on her own. So when she had an idea for a second website, she asked me to point her in the right direction instead of doing it for her. She asked me where she could learn how to build the website herself. I told her that in all honesty, Wealthy Affiliate is the best place online for a beginner to learn how to build an affiliate marketing business from the ground up. And that’s how we ended up with a second Wealthy Affiliate membership for our family. Think about it like this. Would you let your partner (or parent, or sibling, or best friend) sign up for a garbage product? Of course not. It’s actually an unwritten rule of affiliate marketing. Only affiliate with products that you are excited enough about that you would happily tell your family or friends about. Wealthy Affiliate works, and if it didn’t we wouldn’t have signed my wife up for her own separate account. But Steve – I wanted to see some income proof graphs! Here are some charts with numbers on them. Does that really tell you anything? Even though these are actual screenshots from my affiliate accounts, what are you really gaining here? Income proof graphs are great and all, but the problem is they are easily faked. Scammers always use income proof graphs to prove their scam works. Wealthy Affiliate deserves better than that. So ignore those graphs and just know that after reviewing training programs for this site for 11 years, I wouldn’t have told my wife to sign up for Wealthy Affiliate if it didn’t work. Will you really help me get started? There are a few advantages and bonuses for signing up through this page. First, you gain access to my brain, which includes over 11 years of experience and expertise in the affiliate marketing industry. I’ll be around to answer any questions you may have along the way. I have also created a few guides of my own that will walk you through the EXACT thought processes and steps I take when starting a new website. The guides cover everything from how I pick a niche, to how I come up with content for the site, to how I monetize the site and make money from it. Like I said, these are the EXACT strategies I use every day. Click here to create your Wealthy Affiliate Starter Account now!